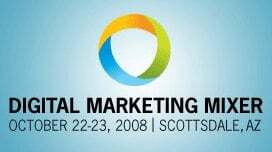 Headed to Scottsdale for the Marketing Profs Digital Marketing Mixer? I wrote a guide with everything you need to know – from an Arizona resident. Tips, tricks, booze, and the whole scoop. I’ll be speaking on the “What Email Subscribers Really Want” panel Wednesday, October 22 at 9am. Attendees, what do you think? Comments below please.